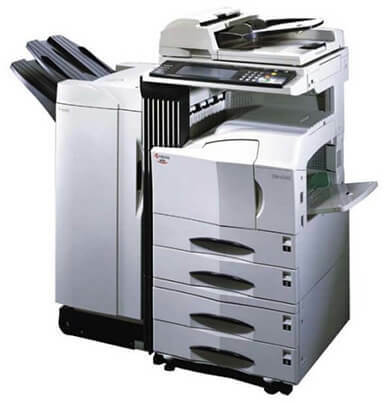 The Kyocera TASKalfa 820 will deliver your letter sized copies at a speed of 82 pages-per-minute, with the first print produced in as little as 2.9 seconds. 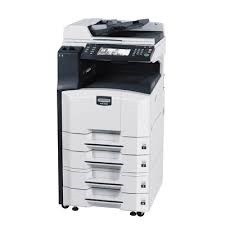 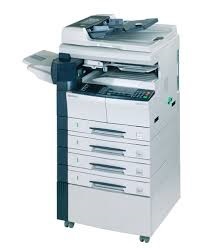 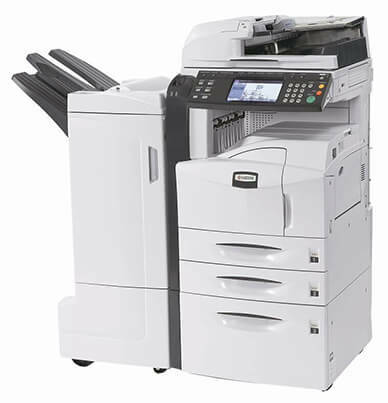 Easily add the print and scan functions to the TASKalfa 820 to accommodate all your business demands. 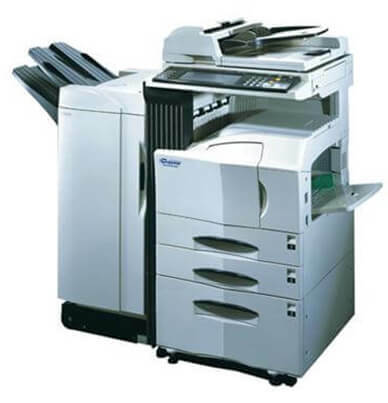 The 128 MB RAM and 40 GB HDD memory and storage ensures that the TASKalfa 820 keeps up with high-volume workflows. 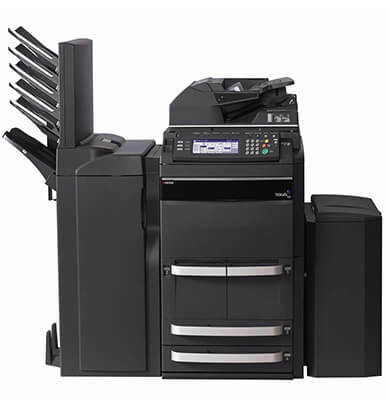 The versatile paper handling on the TASKalfa 820 will allow for more jobs to be completed in-house. 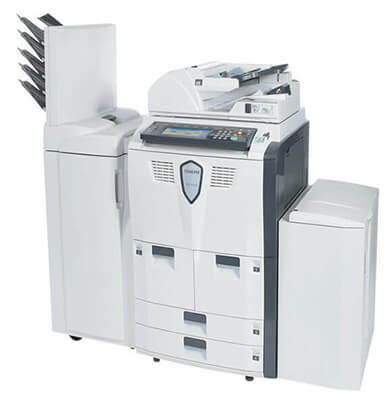 The paper capacity can range from 4,100 sheets expandable up to 8,100 sheets. The TASKalfa 820 has several finishing options to choose from, to give documents a finishing touch. 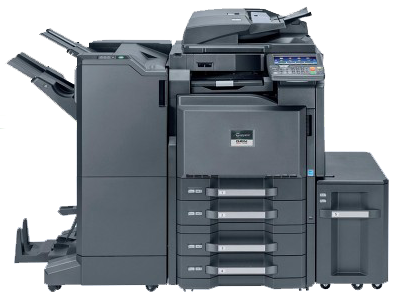 The TASKalfa 820 black toner cartridge (TK-667) will last longer with the incredible toner yield of 55,000 pages at 6% page coverage. 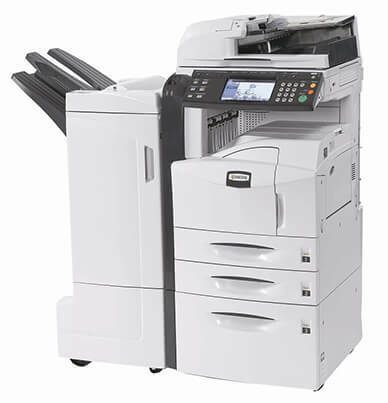 Combining high-speed scanning, printing and copying with large paper capacities and an excellent selection of finishing options, the TASKalfa 820 will put real momentum into your office workflow. 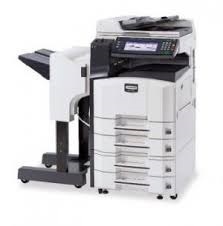 This powerful, high-performance multifunctional machine functions perfectly as a departmental multifunctional device or in a centralized printing department.